Gearbox Software is teasing another game for PAX East 2019 with a photo featuring Duke Nukem and Ishi Sato from Bulletstorm. Posted on Gearbox’s Facebook page with the caption “Time to tease another game for PAX!” the photo shows Sato staring at a device on Nukem’s wrist. 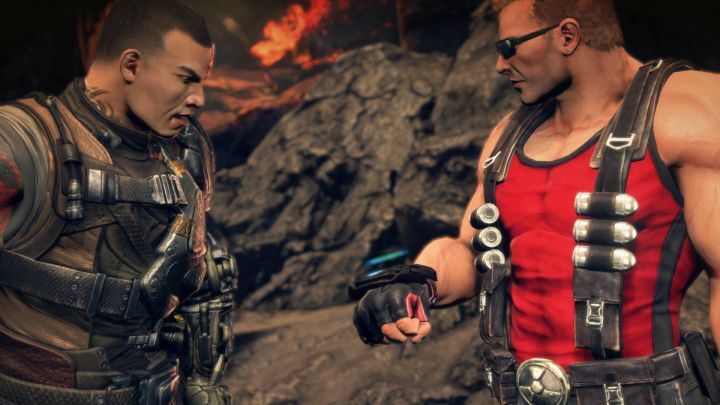 It’s uncertain precisely which game the company is teasing, though it owns the Duke Nukem property and published the remastered Bulletstorm: Full Clip Edition released on PC, Xbox One and PS4 in 2017.